Mother’s Day is Sunday, May 13th! It’s time to celebrate all that mothers do for us! Mother’s Day is only a few short weeks away! Point Pleasant Sweets has the perfect gift to thank your mother and let her know just how much she means to you. Our hand-dipped chocolates will be decorated for this special holiday in a sophisticated purple theme from lavenders to rich royal tones and accents of green. Every gift package will have a blank, handmade decorative tag, perfect for a personalized message from you for mom. 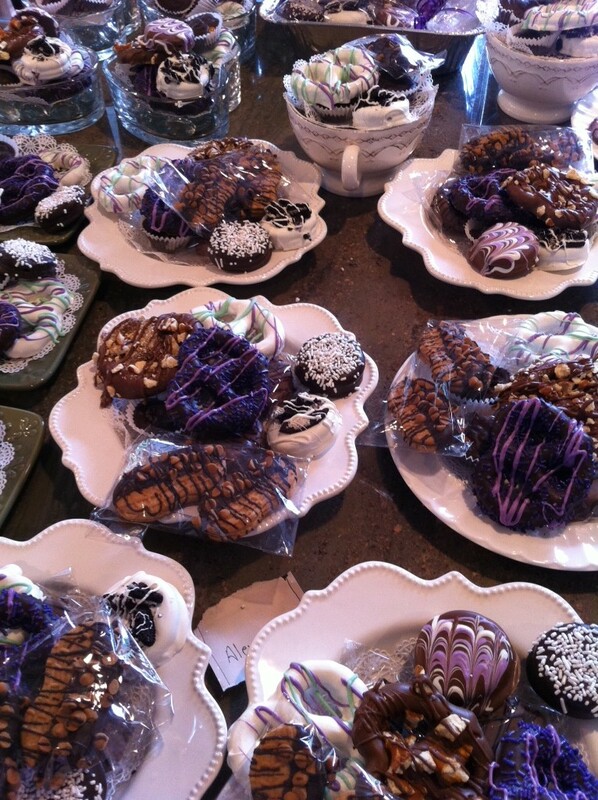 Vincentown Diner will be featuring our Mother’s Day chocolates! Assorted plates and individual packages will be available there beginning May 1st! The Pastry Chef will also have Mother’s Day chocolates beginning April 29th! As always our products are available for custom orders through our website here. Does she love creamy milk chocolate, or is rich dark chocolate more her style? Salted caramel is perfect for that sweet and salty bite, or maybe she is a peanut butter lover. Browse through our Available Products to pick our her favorites. © 2011 PointPleasantSweets.com – All rights reserved. No content on this site may be reused in any fashion without written permission from the site owner.